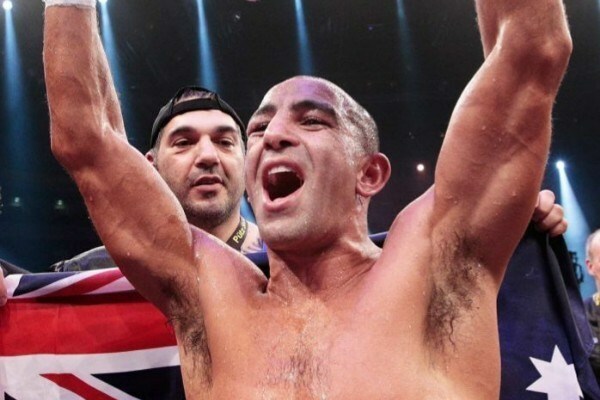 Former IBF middleweight champion Sam ‘King’ Soliman 46-14-1 (19) closed out his professional boxing career with a clear-cut 12-round points win over Mark Lucas 9-2 (3) at the Melbourne Pavilion in Flemington, Australia on Friday night. The popular 45-year-old Melburnian was awarded the victory by scores of 120-108 and 118-110 twice. “Mark Lucas is a former OPBF champion and was a very tough opponent but no one was going to defeat me tonight in what is my final bout,” Soliman told Fightnews.com. “Training was perfect for me and what I was doing in the gym I was able to do against Lucas. The referee did a great job and let the both of us fight. Soliman fought some of the best boxers of his era, including Winky Wright, Jermain Taylor, Felix Sturm, Sakio Bika and Anthony Mundine. “The only fighter I would come out of retirement for would be Anthony Mundine who I boxed three times at super middleweight. I’m confident I would beat him at middleweight,” Soliman continued. In 2014 Soliman travelled to Germany to win an unlikely points decision over IBF champion Sturm before losing the title in his first defence against Taylor in the USA five months later. Soliman now plans to focus on training boxers at his gym in South Melbourne. “I will be involved in boxing now as a trainer. I have four gun professional boxers and four gun amateurs at my gym – Sam’s Stable,” he said.